I made a useful discovery today. 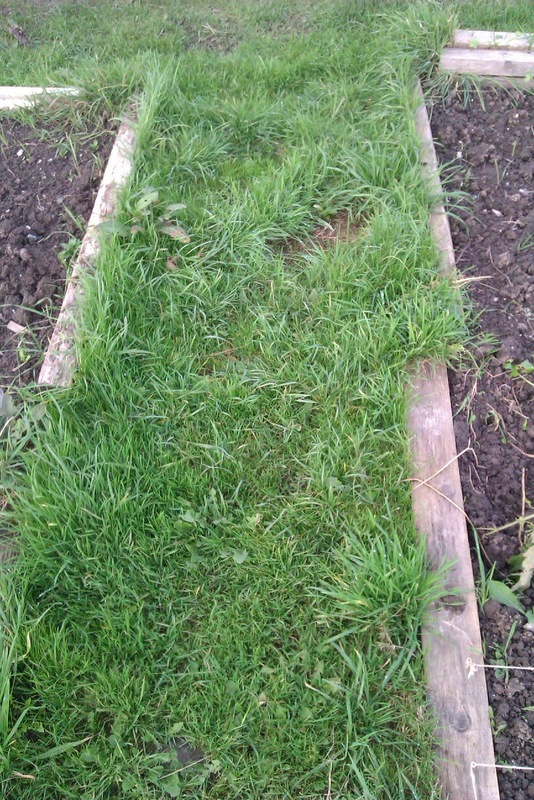 I noticed some of the troublesome grass path between two of my beds had started to tumble over the edge and onto one of the beds. I started to just pull up the grass clump. 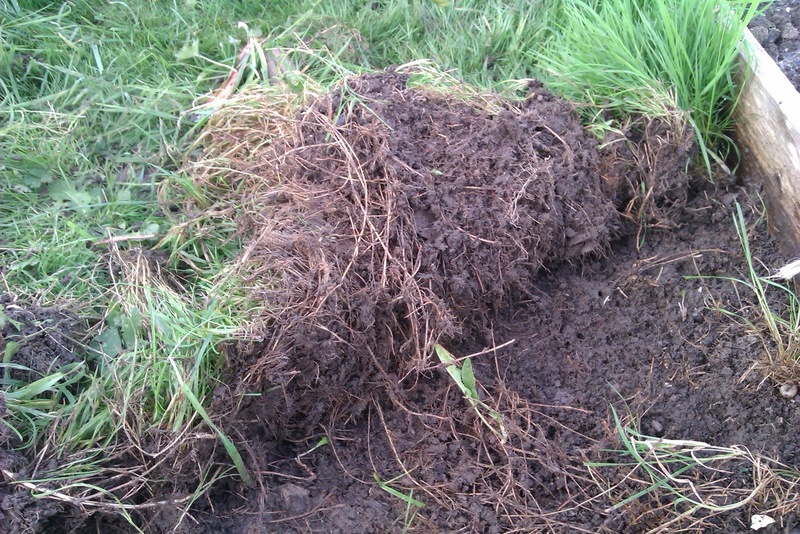 As it came away, it pulled more of the matted grass roots with it, like a green carpet. 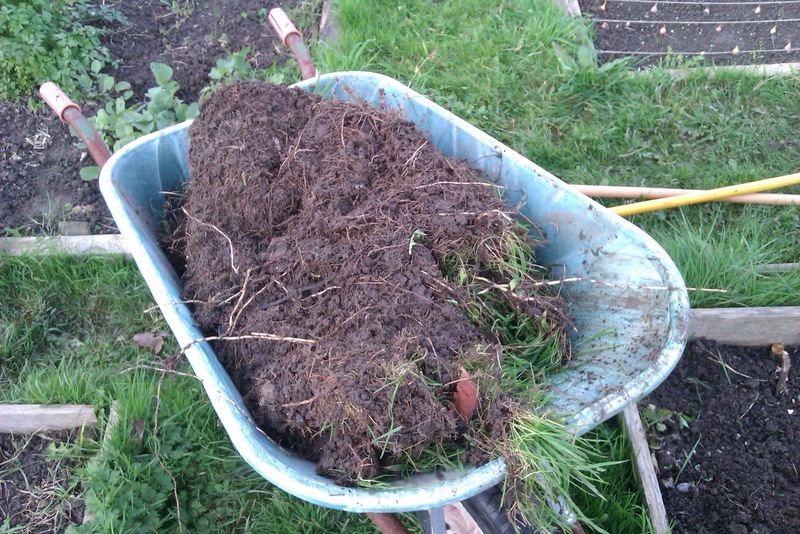 I continued and found that, in fact, a lot of it would come away as simply as pulling up a roll of thick muddy carpet. 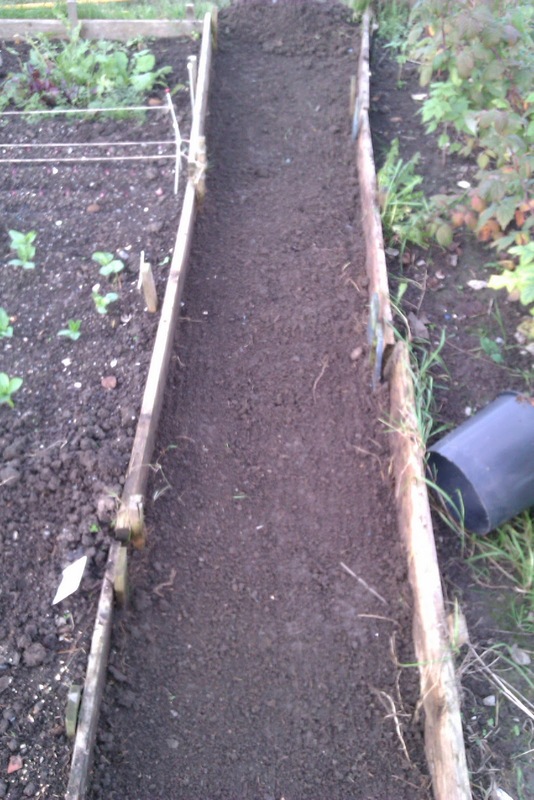 I soon found myself stripping away the full length of the one path and lugging it into a barrow. 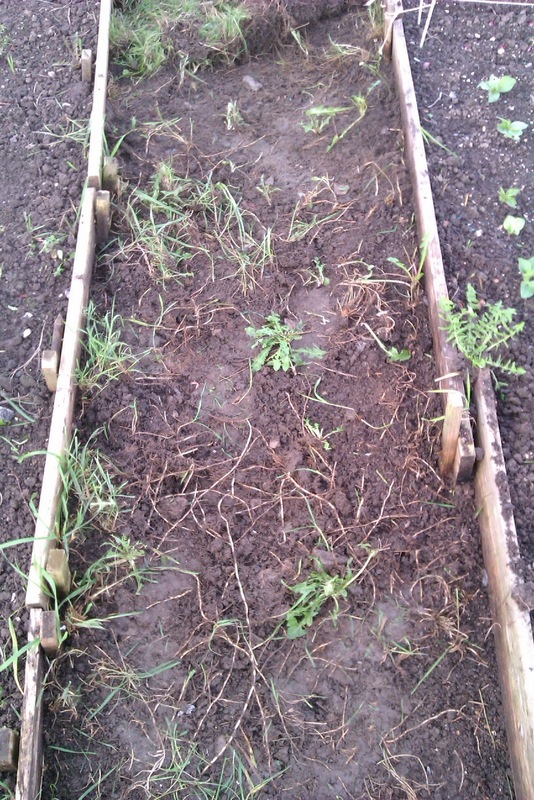 The method works really well and exposes all the nooks and crannies that slugs and other pests hibernate in over winter. It doesn’t however lift the tap rooted weeds. As the pictures show, it does make it a lot easier to spot them and lift them with a hand fork, taking as much root as possible to eliminate regrowth. Well, I have a work day tomorrow so I can always rest at my desk until my back and knees forgive me. At least my fingers won’t be on display so much. Yes, tearing up two barrows full of muddy root matting does get the soil under the nails pretty deeply!